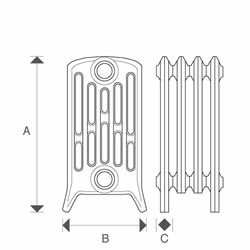 Cast Iron Radiators from our popular traditional range of 6 Column Sovereign Radiators at 485mm high or 19 1/8 inches is the smallest in this series. Sovereign Cast Iron Radiators are available in several complimentary heights, there is also a 4 Column version of these Sovereign Cast Iron Radiators. 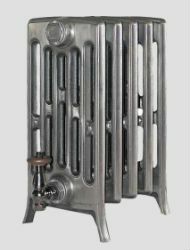 Period Style have a strict quality control process to ensure that each and every cast iron radiator is of the highest quality. 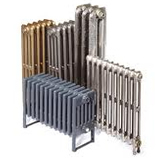 All traditional radiators are delivered to you fully assembled and tested in accordance with the British standard. They also have a full 25 year guarantee to ensure peace of mind for years to come.